Abdel Fatah al-Sisi and ISIS: Did Egypt’s president just fall into the jihadists’ trap? ISIS wants to draw Egypt into a wider war. 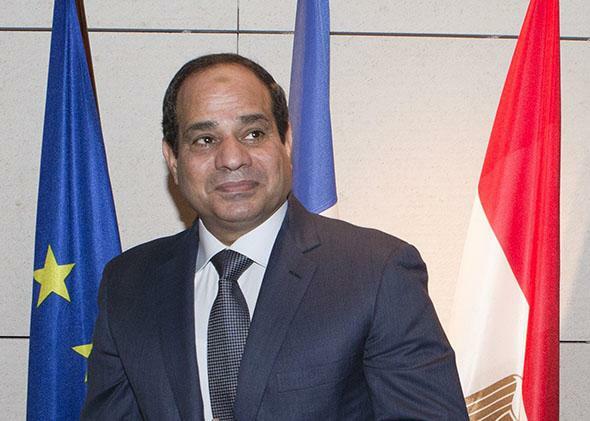 Did President Sisi just take the bait? Egyptian President Abdel Fattah al-Sisi in Paris, on Nov. 27, 2014. On Monday, Egypt carried out its first large-scale military operation in years, targeting an ISIS training camp in eastern Libya to avenge the group’s murder of 21 Egyptian Christians. Is one of Washington’s key allies in the Arab world, a military that considers itself a bulwark against a regional Islamist threat, preparing to go on the offensive beyond its borders? Probably not—if it can help it. As ruthless as it can be in cracking down on opponents at home, Egypt’s military regime has traditionally been reluctant to project force abroad. A painful intervention in Yemen in the 1960s and 30 years of economically ruinous conflict with Israel ending in the 1970s have left the army leery of all but the most limited, short-term engagements. Egypt’s last major deployment was during the 1991 Gulf War, when it received massive debt relief in compensation. Although militants with ties to Sudan, Gaza, and most recently Libya have targeted Egypt during the last two decades , the army has for the most part resisted the temptation to respond directly. Often Cairo prefers to provide intelligence support on its side of the border to partners such as Israel or anti-Islamist Libyan general Khalifa Haftar to help contain groups it considers a threat. Monday’s strikes against Derna, the east Libyan town where an ISIS affiliate has recently established an enclave, mark a significant break from this strategy. The attacks, retaliation against the slaughter of 21 Coptic Christians in another ISIS-held enclave, may not have been the first Egyptian incursion into Libya—Egypt backs Haftar, and reportedly assisted the United Arab Emirates in striking his Islamist opponents during a battle for control of the capital Tripoli last summer. But they are the first open attacks, and risk committing Egypt to a new level of involvement in Libya’s ongoing multisided conflict. The Islamic State specializes in creating provocations that are impossible to ignore, like burning a Jordanian pilot alive or, in this case, releasing video of the Christians being beheaded on the edge of the Mediterranean Sea. The victims were some of the hundreds of thousands of Egyptians working in Libya, which despite its nascent civil war is still a more attractive job market than much of Egypt. ISIS’s pretext for its atrocity was based on the victims’ Christianity rather than their Egyptian citizenship: The group’s online Dabiq magazine called them “Crusaders” and cited a pair of murky cases from 2004 and 2010 in which—according to Islamists—the Coptic Church prevented two women from converting to Islam. But strategically, the real target is almost certainly President Abdel Fatah al-Sisi, the former field marshal who, in 2013, toppled Egypt’s first freely elected president on the back of massive protests. Sisi’s allies have defined the prime objective of his presidency as defeating “terrorism,” a word they use to describe both violent and nonviolent Islamist opposition to his regime. Given Sisi’s strong rhetoric and promises to defend the homeland, it’s next to impossible for him not to respond when actual terrorists target Egyptian citizens. For all its horror and brutality, ISIS’s murder of Egyptian Christians isn’t an unprecedented strategy; it’s in line with tactics that date back to its earlier incarnation as Tawhid wa Jihad in 2003 in Iraq: Make new enemies, provoke retaliation, then pose as “defenders” of the Sunni Muslim communities caught in the middle. Ten years ago in Iraq, the group bombed Shiite mosques to lure Shia militias into Sunni neighborhoods. Today, the Islamic State seems intent on luring Egypt into open confrontation with Libya Dawn, the Islamist-leaning coalition that controls most of the western half of the country. Libya Dawn encompasses many radical groups but is still derided as apostate in Islamic State propaganda. (Among other things, ISIS expects all true Muslims to pledge allegiance to its caliphate.) ISIS fighters have attacked a major hotel used by foreign contractors in Libya Dawn–controlled Tripoli, a symbol of Libya Dawn’s hopes for international respectability. ISIS’s strategy of unleashing havoc and then capitalizing on the results suits its apocalyptic ideology, but it has also been depressingly effective. Sisi’s regime for its part detests Libya Dawn, which it sees as part of a broader Islamist bid for dominance in the Arab world, in association with the Muslim Brotherhood and financed by Qatar. Cairo has backed Haftar, who is fighting Libya Dawn on behalf of Libya’s internationally recognized government in the east. But Egypt has so far kept its backing at the level of plausible deniability and does not appear to have been tempted to escalate when Haftar and his allies suffered setbacks last year. If Sisi were to step up military involvement in Libya, it’s hard to imagine that he could avoid butting up against Libya Dawn more directly. ISIS has always done best by absorbing other militant groups. If Libya Dawn suffers reversals, ISIS would be well-positioned to recruit its remnants, expand the territory under its sway, and thus bolster its claims to be the reincarnation of the early Islamic caliphate. An even bigger prize for ISIS would be Egypt’s own huge population of angry young Islamists. A decade-old radical insurgency in Sinai that recently joined ISIS have killed hundreds of Egyptian soldiers, police, and pro-government civilians in the desert peninsula, but militancy still seems to be making only limited inroads into Cairo and the Nile Valley. Egypt’s Muslim Brotherhood, however, is clearly feeling pressure to endorse more violent methods, recently issuing a rare statement reminding the public that it once had a military wing and that it was preparing for a “new stage” of its campaign against the government. A debilitating involvement in Libya would no doubt bleed support for Sisi and make his regime look shakier, while allowing ISIS to upstage the Brotherhood as the military regime’s strongest nemesis. But Egypt’s military, at least on grand strategic matters, play their cards slowly and carefully. The country’s state-guided media has played up the magnitude and effectiveness of the strike, and images of Egyptian military hardware swinging into action rarely go down badly with the public. Sisi, perhaps the only Egyptian leader in over half a century to treat the Christian minority as a core constituency, has also used the occasion to cement his ties to the Coptic Church, paying condolences to its pope in the central Cairo cathedral. Egypt has hinted that there may be further strikes, but what Sisi seems to want is a broad international coalition to intervene in Libya on behalf of the eastern government, curbing “militias” (that is, Libya Dawn) as well as ISIS. He may thus be able to turn the atrocity in Derna to his advantage. Of course, foreign boots on the ground in Libya would suit ISIS, too. Given its penchant for following up one bloody provocation with another, and the vulnerability of Egyptian workers in Libya, we may soon see more horrors aimed at goading Sisi to throw caution to the wind.